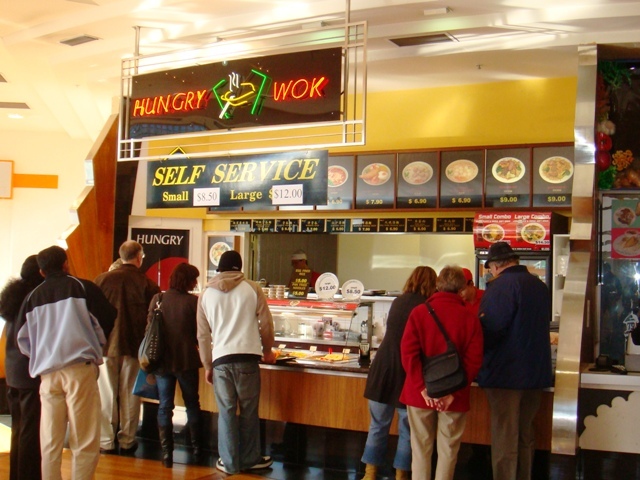 Growing up in Aotearoa, I have seen the options for Asian food grow from the lone Hungry Wok at the mall food court to a plethora of restaurants specialising in all sorts of different regional Asian cuisines. Personally, this has been great. The more food the merrier. 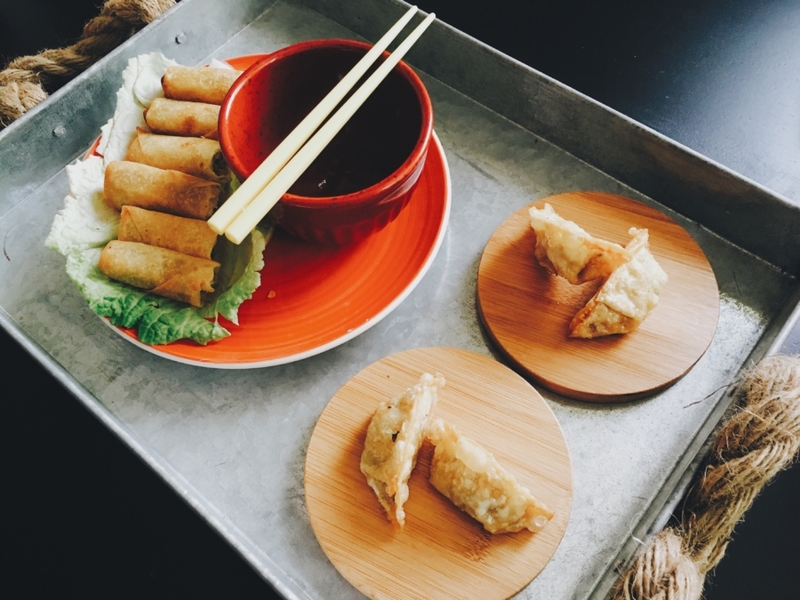 And because of this increased accessibility and visibility, food like dumplings or sushi are now eaten, accepted and enjoyed by a much wider group of New Zealanders. No-one has bullied me for eating dumplings in a very long time. This small change hints at a promising possibility – that food can be a medium for healthy exchange between cultures. This exchange isn’t one-way. For migrant-run businesses, adapting recipes to locally available ingredients is a vital part of survival. Recipes may also need to be further adapted to appease majority palates, who may be averse to ‘overly’ foreign flavours. So, quite naturally, food establishments can become places of invention, fusing food from different cultures out of genuine need. Eddie Huang, a Chinese-American writer, restaurant owner and TV host, says that fusion food “is a beautiful thing, when it comes from relationships.” He lists Chinese-Jamaican, Japanese-Peruvian and Tex-Mex as examples of fusion food, with Tex-Mex being a “food created by Mexicans to survive in America.” Similar to this is food created by Chinese migrants, also to survive in America, with dishes like General Tso’s chicken born out of business necessity going on to achieve their own culinary merit. An example closer to home is Samoan chop suey (interestingly, American chop suey is quite a different dish). Samoan chop suey, or sapa sui, is thought to have been a contribution of the indentured Chinese labourers during German-administered Samoa. Unlike Chinese-American dishes, chop suey wasn’t created out of economic necessity but the intermingling of Chinese and Samoan communities. The sharing of culture, custom and cuisine happened within households. A New Zealand equivalent of sapa sui however, is difficult to name. This comes at odds to the number of increasing ‘Asian fusion’ restaurants in New Zealand. The reason is that for many self-touted Asian fusion restaurants, unlike the Chinese in Samoa or Eddie Huang’s examples, the ‘fusion’ is less about relationships and more about trend. Instead of a genuine relationship to the culture(s) the food is coming from, menus condense a vast cuisine into a lazy pick and mix. Kimchi on this, lemongrass in that, Srirarcha mayo and sweet chili sauce over everything. It’s easier to do this and call it fusion, than to actually learn the craft of the condiment’s cuisine. Not only does this pick and mix become a curated selection of Asian culture that is deemed, often by a non-Asian party, to be marketable, but this shortcutting lends itself to average tasting food. The skills required to make dumplings are different to those behind a fish cake or goat kebab. Hell, even the skills required to make gyoza and mandu are different. For one kitchen to produce all such dishes at a good quality is questionable. Being able to get away with selling something as ‘Asian’ without all the kung fu behind it only goes to reassert white authority, validating its position to dictate what is acceptable and what isn’t. It is a poor understanding of food culture. And when the menu reflects this, the only people who end up eating there are people outside of the cultures the food is (vaguely) taken from, creating weird spaces where appropriation can go unchecked. In a best case scenario this just means blissfully unaware diners eating subpar food. In the worst case, it means a space where Asian culture is insulted and sold at the same time. Having no genuine relationship or dialogue is where Asian fusion/‘modern Asian’ businesses run into culture-vulture territory. By being so far removed from anything or anyone actually Asian, through misguided logos of peace-sign touting geishas selling Chinese food, racist menus and other forms of cultural appropriation, they perpetuate racial stereotypes beyond restaurant doors. But does a true Asian-New Zealand fusion cuisine even exist? Perhaps not in the form of a single dish, but perhaps in cultural spirit. The fish and chip/Chinese takeaway shop may be a good starting example. As Emma Ng in Old Asian, New Asian writes, the stereotype of these businesses being Chinese-owned is based in reality and pragmatics – the set-up capital is small. Born out of social and economic needs, these establishments have become synonymous with local culture – fried rice alongside hot dogs. Their place in the national psyche still endures, and have evolved into variations like Fisherman’s Plate in Wellington, where you can get dine-in pho alongside a scoop of chips. There are also similarities between various Asian cuisines and Maori cuisine – ingredients like taro and especially paua are well regarded Chinese ingredients, as is kina in Japanese cuisine. Within households, domestic fusion happens with family recipes adapting to local ingredients and custom. In my own family, the Christmas turkey meets lo mai gai (荷葉飯), the stuffing being sticky rice, dried shrimp and shiitake mushrooms, while I have friends who fill glutinous soup dumplings with Pic’s peanut butter. The successes and increasing specificity of Korean, Malaysian, Japanese, Taiwanese, Indonesian, South Indian, North Indian, Cantonese, Singaporean, Filipino restaurants proves not only acceptance but demand. ‘International’ food aisles in supermarkets have expanded, ingredients like soy sauce and sesame seeds are entirely common. Asian food has become intertwined with Aotearoa’s food landscape. How else do you explain Domino’s butter chicken pizza? What all these gestures add up to is the undeniable influence of Asian food in New Zealand. Different forms of it appeal to different people, and in the best cases the food generates kinship. There is no problem with people enjoying ‘Asian fusion’ food. But there is a problem when restaurants curate Asian culture for profit from a distance, contribute to stereotypes and undervalue coloured labour through overpricing. In considering ‘Asian fusion’, consider that perhaps we are all already part of the more holistic definition of Asian-New Zealand cuisine.